Today’s motherboard is a bit of a mystery as it doesn’t have any obvious markings that identify who made it or a model number. 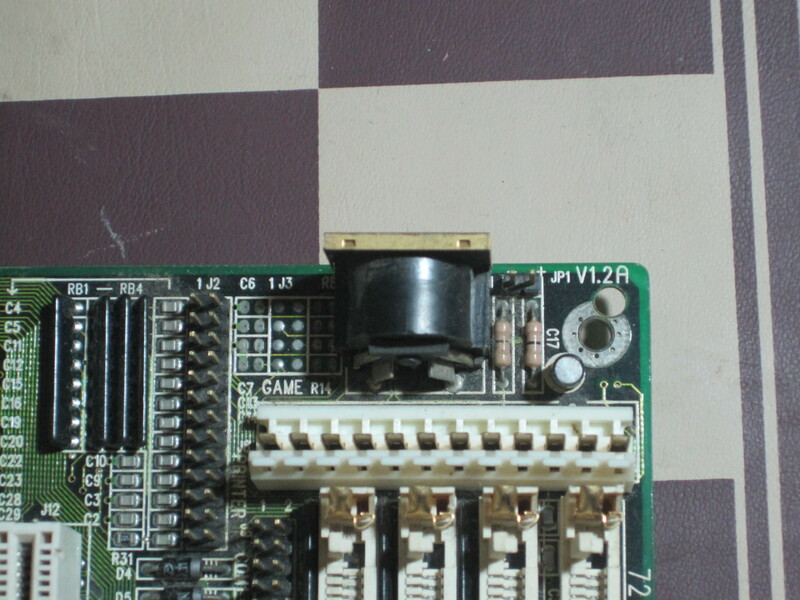 It is a late socket 3 board that supports fast 486 chips and the Pentium Overdrive. Socket 3 is interesting as it is where the CPU designs started to really diverge depending on the manufacturer, but the chips all still ran on the same boards. It didn’t last as long as the later socket 7 standard as it came part way through the life of the 486. Here is the board in all it’s glory (or infamy). There are a few things to note about it, firstly it must be a later board as it has a PCI Bus instead of a VLB and only ISA slots. 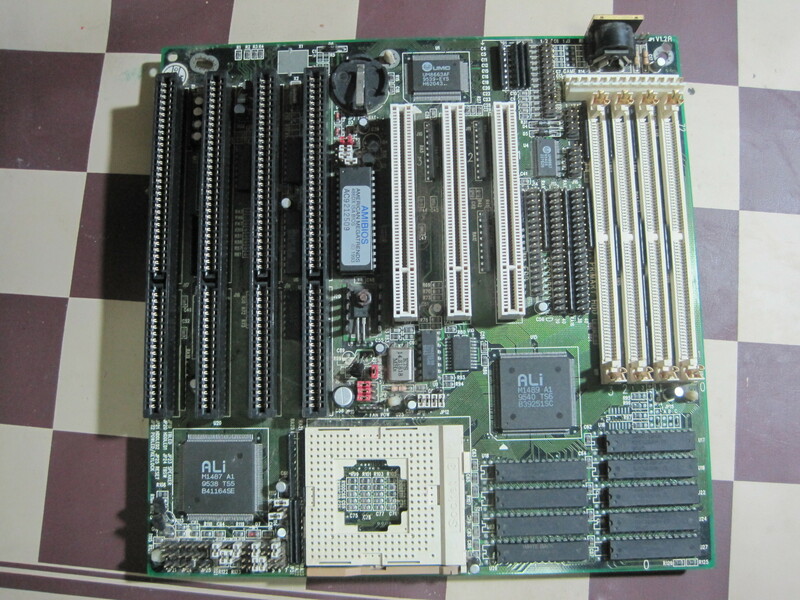 PCI wasn’t common on 486 boards, and some had early buggy versions of it (or the BIOS), but this board could be running a later 2.0 or 2.1 version of PCI which had the kinks worked out. Judging by the date codes it was made in late 1995. Also you’ll note it has a very integrated chipset made by ALi (Acer Laboratories incorporated). I usually have seen their chipsets on boards that are in brand name PC’s rather than your usual beige boxes. 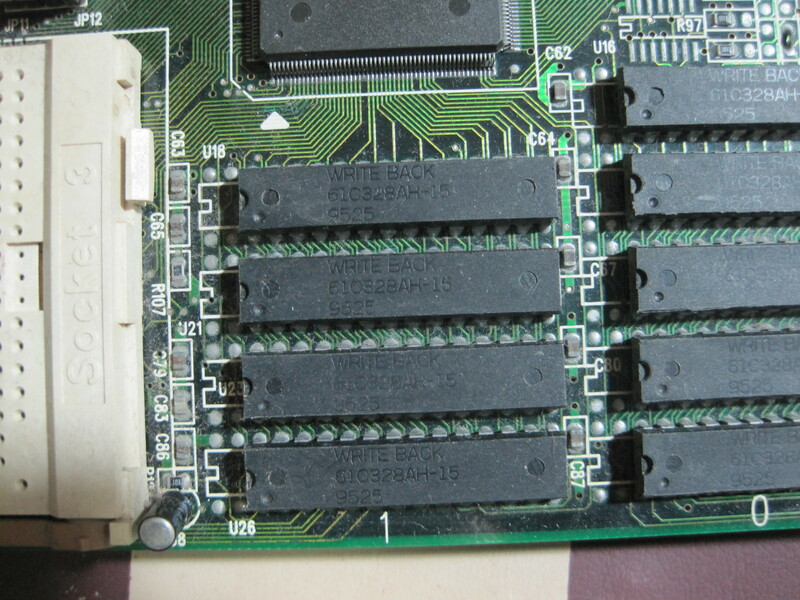 They also ended up on value boards like SiS chipsets used to, but had better software support when that was required. This particular chipset is more integrated than many early Pentium boards, and is much smaller. It could have fitted a smaller chassis than normal. Like other socket 3 boards this one has some cache on board in the form of the SRAM chips. There were a few dodgy manufacturers that put fake chips on their boards instead, but I don’t think this is one such board. 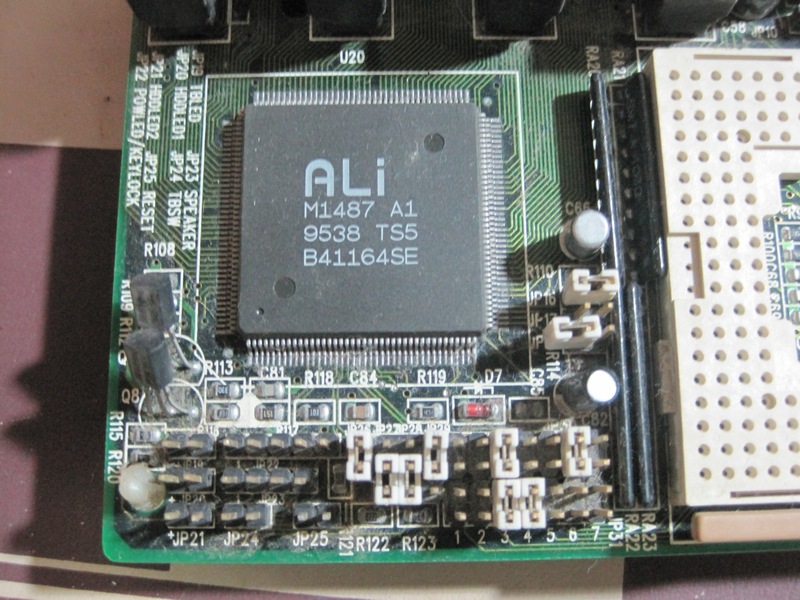 To start with this has a genuine ALi chipset, where as the dodgy brothers boards often had a generic chipset that wasn’t much chop. To hide the fact they had a chipset like that they stuck stickers with the chip markings of other manufacturers over the laser etchings. These cache chips are marked as Writeback, which turns out to be the chip maker rather than the cache type. I couldn’t find a datasheet, but from the basic information available they are basically SRAM chips arranged in two banks. There are an odd number of chips, one of which I’m guessing is used for parity checking. Ugh look at the arrangement of the configuration jumpers. From a technicians standpoint this is horrendous. There is no silk screen for most of the jumpers, so I have no idea how you’d configure this board without the manual. Luckily the front panel jumpers are labeled, and the voltage selection for the CPU is labeled. Like many Socket 3 boards, this one will take both 3.3V and 5V CPUs. This is the only mark on the board that identifies anything about it, apparently it is version 1.2A. I got this board from an uncle that had it in a beige case, and that unfortunately was generic, so I can’t even chase a possible manufacturer that way. It might have been an ok board from an end users perspective, I got this board with a 100Mhz 486DX4 chip in it, and it did run Doom exceptionally well. I even was running DSL (Damn Small Linux) on it for a time. It had something like 16Mb, but probably could have taken more. It was unfortunately at the end of the DOS era, so it would have depended on whether Windows 95 was on it or MS-DOS. Windows 95 did run on 486 machines, but not really all that well. It used to work some time ago, but something went wrong with the chipset as it doesn’t detect it’s memory properly anymore and it doesn’t boot. I’ve been thinking I’d like to have a go a reflowing some of the solder connections as I suspected some dry joints. Unfortunately I don’t have a heat gun, so that will have to wait. One thing I really liked is the use of a coin cell for the RTC and CMOS settings, so I might have to attempt a repair on it one day.